In all refineries, crude distillation is the starting point of the refining operations. 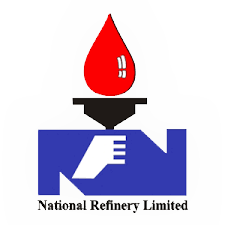 The Fuel Refinery’s Atmospheric Crude Distillation Unit, therefore, serves the primary purpose of separating the desalted crude oils into its fuel components; Gases, LPG, Naphtha, Kerosene, High Speed Diesel and Furnace Oil for down-stream processing. The overhead product of distillation column is Straight Run Naphtha. This is passed through a stabilizer column to recover LPG. The stabilized Naphtha enters into a splitter column, Light Naphtha is obtained from the top and Heavy Naphtha from the bottom of the splitter column. Light Naphtha is used for Gasoline blending whereas major part of Heavy Naphtha is upgraded at Platforming unit. Naphtha is also exported as feedstock for petrochemical plants. This Crude Distillation Unit has been revamped for capacity enhancement by about 45% in which a pre-flash unit was added and the heat exchanger scheme was optimized. This way the capacity enhancement was made possible without additional fuel oil consumption. After the Revamp-I ; the pre-heated crude feed is now pre-flashed in a column to recover maximum of its Naphtha. The pre-flashed crude then follows the conventional flow scheme as narrated above. Second Revamp in the year 2017 further enhanced the capacity of Fuel Refinery CDU up to 53,000 BPSD. This unit is designed to hydro-treat the Heavy Naphtha fraction produced in Crude Distillation Units of the Lube and Fuel refineries. Sulphur, Nitrogen and Organo-metallic compunds are poisons for reforming catalyst hence removed by Hydro treating Naphtha. This is a high severity process operated in the presence of a catalyst and hydrogen. Heavy Naphtha Hydro-treating unit at the NRL is a UOP licensed process. The term “Platforming” is applied to catalytic reforming process where chemical conversion of the hydrocarbon feed is achieved on a bed of platinum based catalyst under extreme conditions of pressure and temperature. This unit is licensed by UOP. Hydro-treated Naphtha is the feed to this unit which is converted into high Octane Motor Gasoline. As part of the Balancing & Modernization Project, the Platforming Unit has also been revamped for capacity enhancement by 72% of design. Adoption of Radial Flow Reactors and new improved catalyst has further enhanced the performance and operating cycle of the unit. Merox process licensed by the UOP is an energy efficient method to reduce mercaptans via extraction from lighter hydrocarbons, or to convert the mercaptans to less harmful and objectionable species so that marketable hydrocarbon fuel products could be produced. NRL is currently equipped with Merox extraction process for LPG while Merox sweetening processes separately for Naphtha and JP-fuels. Based upon distillation operation, this unit separates LPG from the Platforming unit into Ethane, Propane and Butane. This unit therefore, provides the lube refining operations with high purity propane.